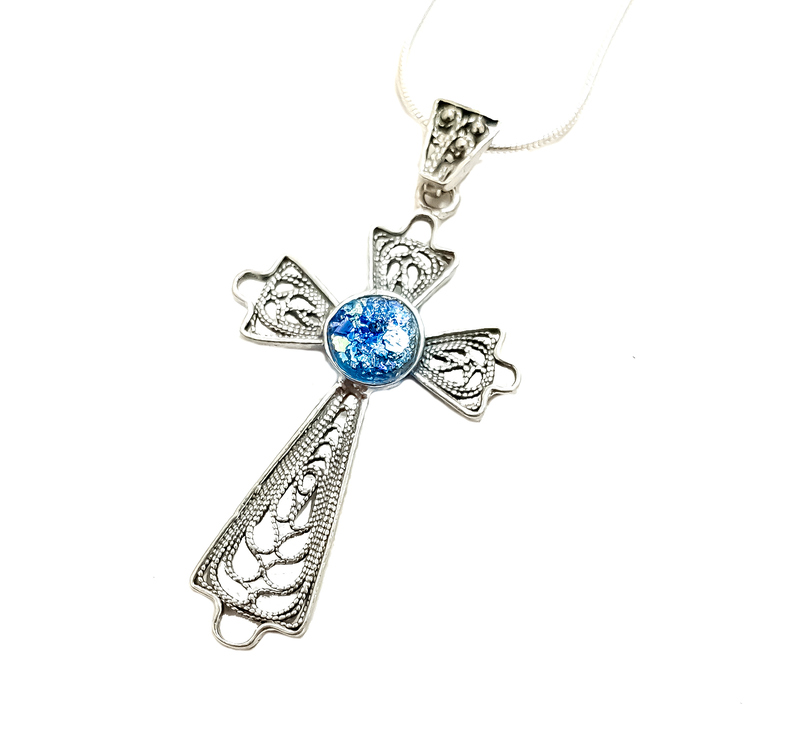 A beautiful handmade filigree sterling silver cross with the fantastically colored Roman glass in the center. This is a piece of art made with care with attention to details. In today’s world, the cross has become not only a symbol of faith but also a fashion statement. This cross has been designed in such a way that it will look perfect for every occasion. However, the ancient remnants of the Roman glass set this Christian jewelry pendant apart as it lends it a breath of fresh air and color.